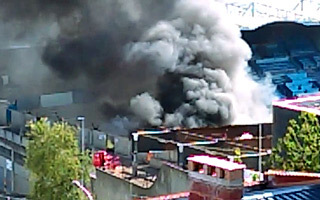 In early evening on Wednesday fire broke out within the east stand of Stade Jules Deschaseaux. It took a couple fire brigades to extinguish it but the effort was done before dusk. The cause is still unclear but it's considered to be an accident. 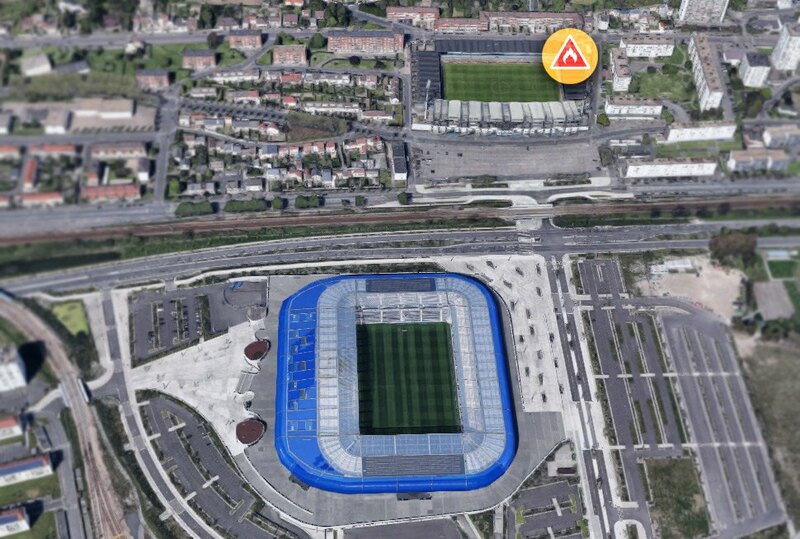 The incident took place during demolition of the east stand and, ironically, happened on the 5th anniversary of opening of the nearby Stade Océane. It's already been five seasons since Have AC have left their old ground. During that time good old Deschaseaux found very limited use, temporarily becoming home to the Havre AC Rugby team last year. Currently it's being dismantled piece by piece. As of now one floodlight mast and the east stand's roof have been removed.